The identification and utilization of space resources is fast becoming a reality, driven by a revolution in space technology, accelerating exploration of outer space and the eventual scarcity of certain resources on Earth. Building on its long history at the forefront of the commercial satellite communications industry, Luxembourg aims to play a leading role in the exploration and utilization of these resources. Its goal is to ensure that space resources explored under its jurisdiction serve a peaceful purpose, are gathered and used in a sustainable manner compatible with international law and for the benefit of humankind. 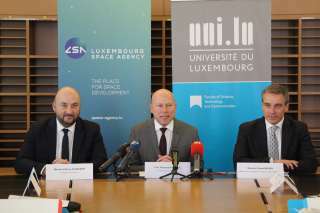 Luxembourg’s vision is built on support for advanced research activities and technological capabilities, drawing on the country’s existing expertise in the space sector and its ongoing strategy of economic diversification into future-oriented high-tech industries.